Surrey Cricket Foundation - News - Sign up for Schools Day 2019 Now! News » Sign up for Schools Day 2019 Now! Sign up for Schools Day 2019 Now! 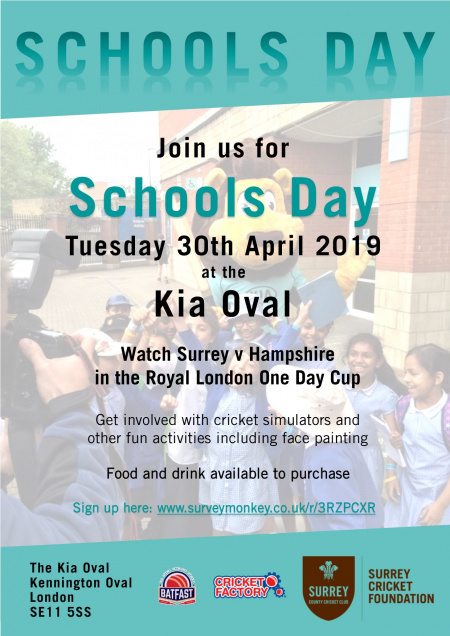 Join us at the Kia Oval on Tuesday 30th April 2019 for our annual Schools Day! 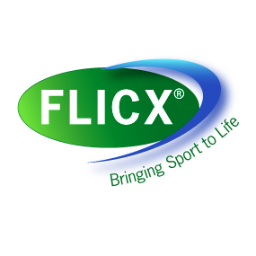 This exciting day takes place during a Royal London One Day Cup fixture, this year seeing Surrey take on Hampshire. Pupils will have the opportunity to watch an action-packed game of cricket and participate in some engaging and enjoyable activities. Gates open at 9.30am and activities will run from 11am until 3pm, with the game finishing around 6pm. Schools are free to arrive and leave at their convenience within these times. Food and drink, as well as Surrey Country Cricket Club merchandise and souvenirs, will also be available to purchase throughout the day. The deadline for ticket applications is 5pm on Friday 12th April and places are allocated on a first come, first served basis.